Beauty is all around us. And what is even better is when the beauty we bring into our lives – and into other lives – helps lift people out of poverty. These paper bead mirembe wrap bracelets do just that. 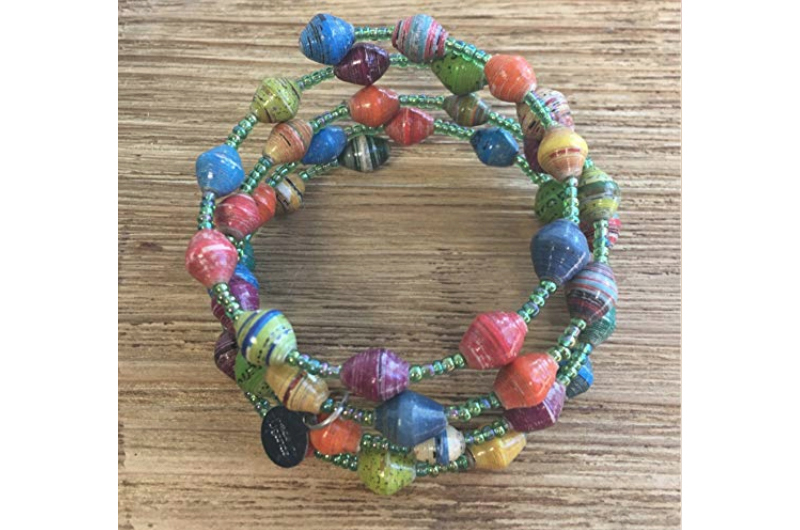 The beads are made of recycled paper strips, created by artists in Uganda. They are then integrated with smaller seed beads and turned into a mirembe wrap bracelet. It definitely fits every arm, because it can be wound as tight or loose as needed. Gain some weight? No problem! This bracelet loves you just the same. 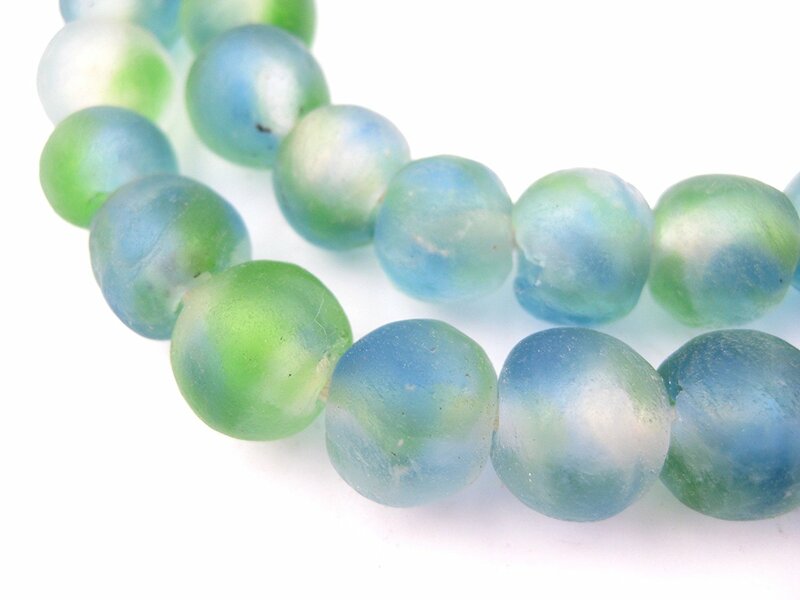 The overall length of the entire bracelet is about 7 1/2 inches. The bright colors go with most outfits, and it always brings a smile to the face. Get several of them, and have them on hand for gifts and presents! There’s always an occasion where this is just right. And your proceeds help families better their lives. Fair Trade is such an incredibly important concept. It means the artists are paid a fair wage for the work they do. Fair trade can help lift people out of poverty based on their efforts and creativity. 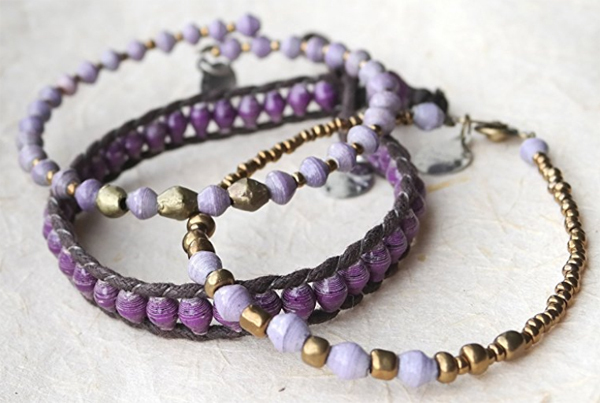 These beautiful lavender and violet bracelets are made by artisans in Uganda, Africa. They are stylish and soothing. Purple represents spirituality and compassion. Every time you wear them, you’re reminded of how we must care for one another. How we are all in this world together. Seek to buy fair trade whenever you can. It’s our way of helping each other succeed in this world. I nearly always wear a sandalwood mala bracelet. Certainly I wear it when I meditate, but I wear it the rest of the time to remind myself to be mindful. To be compassionate. To treat others as I would want to be treated myself. Sandalwood is a gently fragrant wood and the smell, also, triggers those kinds of restful emotions. Sandalwood is one of those fragrances which can last a long while. Just rub or handle the beads to draw the scent out of it again. Note that it’s not an overpowering scent, like you might get from burning incense. It’s fairly subtle – but it’s there when you bring your hands to your face. 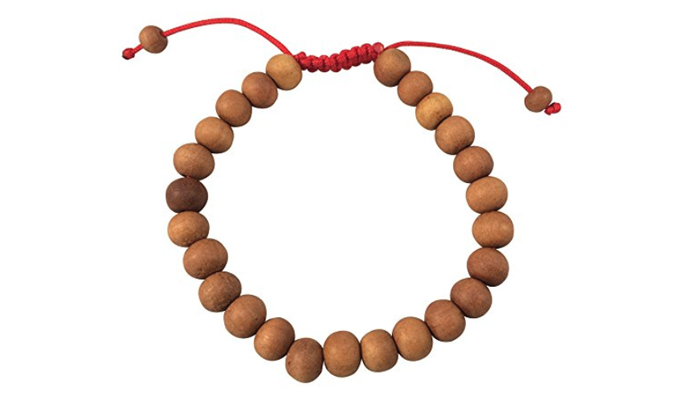 Some people use a mala bracelet to recite prayers or meditations one after another. They count each recital with a bead. Other people use the bracelet as a whole as a reminder token.